Great for any beach vacation! 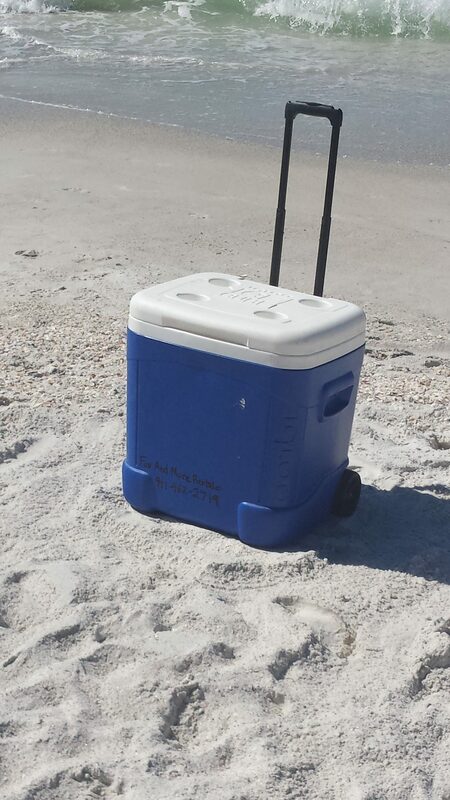 Our coolers are perfect for food and drinks alike allowing you to not have to leave the beach to fill up. The 7 inch wheels make it easy to transport on the sand and the molded handles make it easy to move even with wet and sandy hands.